For the past year, my church has been in a discernment process to change the call of me and my Head of Staff to co-pastors. Our installation service will be during the season of Advent, so I thought it was a great opportunity to reflect how we prepare ourselves not only as we approach Christmas, but as we approach this new staff structure. The 2nd-6th graders spent a month exploring prayer. 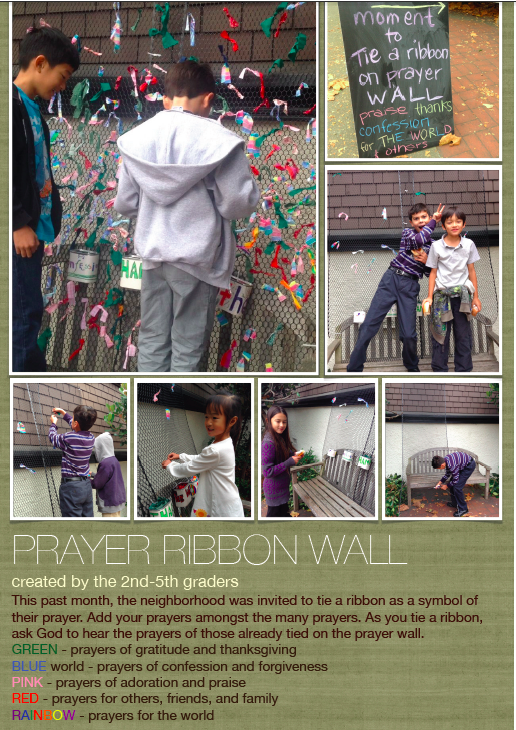 During that time, they constructed a prayer ribbon wall, inspired by this post. 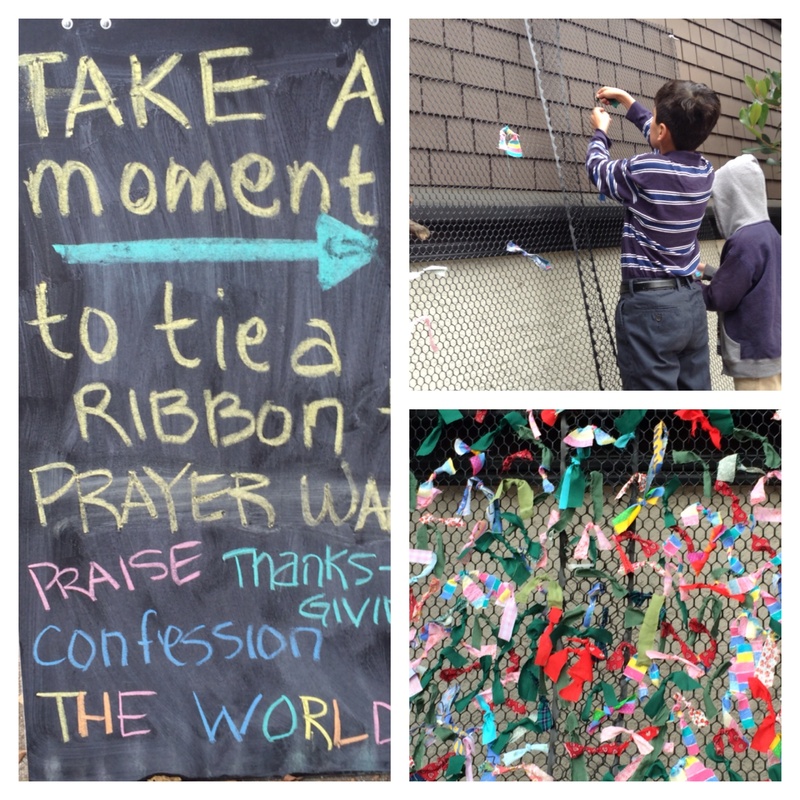 This prayer wall hung outside our church for a month, inviting passersby to add to it. 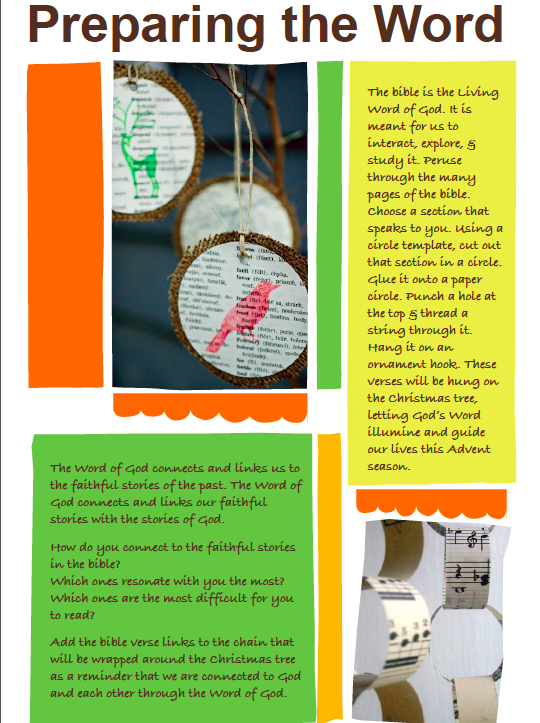 Below are ideas for interactive prayer stations that connects the theme of Advent (preparing and waiting) with the hopes and expectations of an installation (ordination as well.) 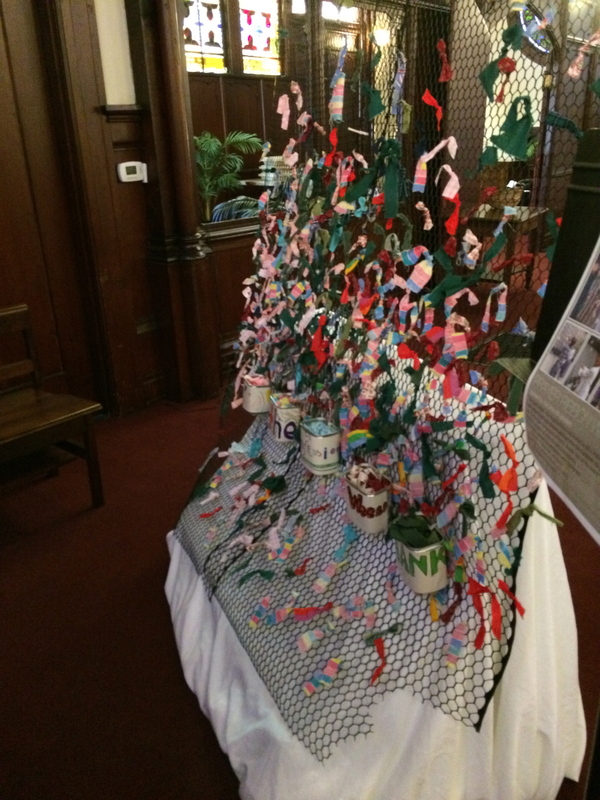 The interactive prayer stations are meant to be intergenerational. 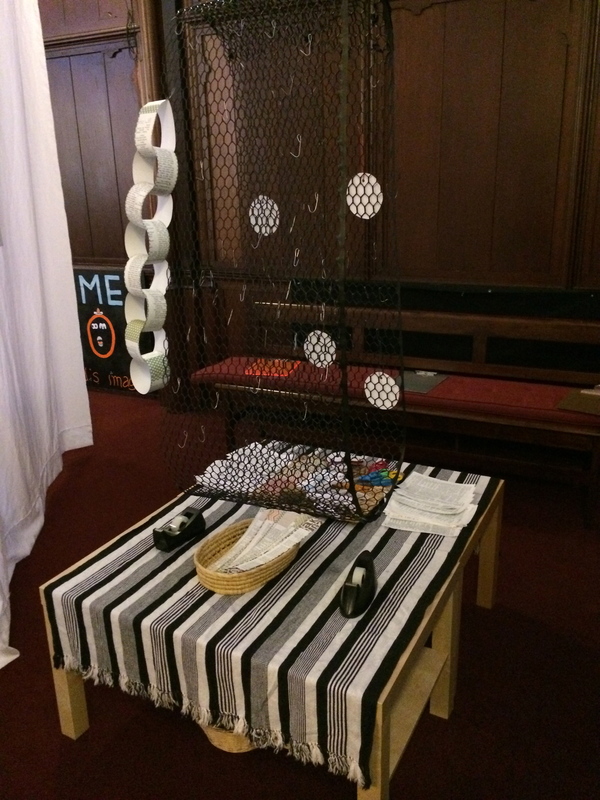 (For more specific instructions on layout, purpose, design, and more ideas, you can view previous posts tagged under “Interactive Prayer Stations.”) You can view pics here. 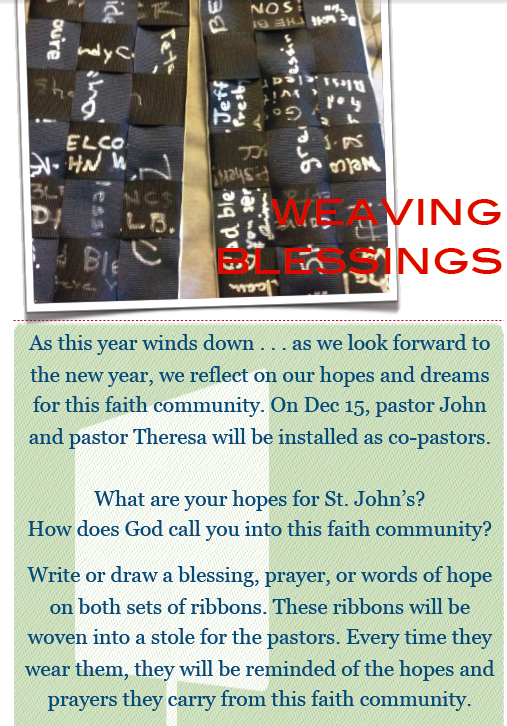 This ribbon wall will be made into a communion table cover for the installation service as a reminder that we hold the needs of our community as well as the needs of the church. I gave instructions on a previous post on how to make a stole by weaving ribbons. These stoles will be used in the installation service as a reminder for my Head of Staff and I that we are partners in ministry with the congregation. We just received new pew bibles. 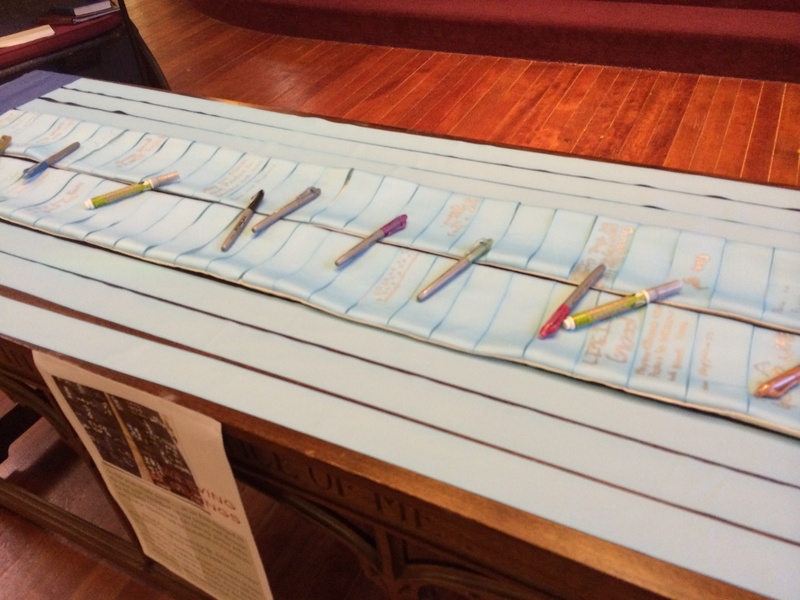 Here is a post on an interactive idea to dedicate bibles. For some of our old bibles that were really falling apart, I wanted to upcycle them. Inspired by MaryAnn McKibben Dana’s post, we will use these decorations when we green the church in preparation for Advent.